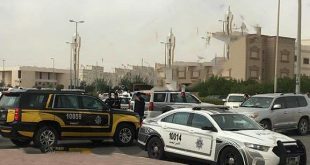 KUWAIT CITY, May 29: For the second day in a row, the series of attacks and assaults over cases of malpractices during the secondary-level examinations continue, reports Al-Rai daily. According to a source from the educational sector, a student in Ahmadi area attacked the principal of a school by punching him in the eye after he was caught in possession of earphones for committing malpractice. The principal was referred to the nearest hospital and a case was registered in the police station of the area. 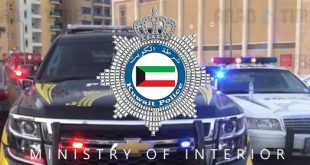 In addition, another student in Jahra area who was also caught in possession of earphones for the same purpose strangled a teacher and tore the question paper. 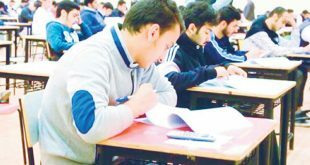 Meanwhile, Ministry of Education announced that 129 students of secondary schools and religious institutes who were caught cheating were banned from sitting for examinations, including 72 students of science major, 52 of arts major and five students of religious institutes. 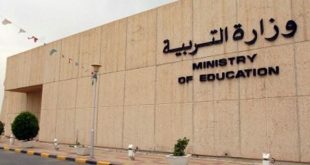 Undersecretary of Ministry of Education Dr Haitham Al-Atari visited number of schools in Jahra Educational Area including Saad Al-Abdullah High School, Al-Mohaiani High School, Khalid bin Saeid High School, and Arwa bin Al-Zubair High School following some related incidents that occurred in these schools recently. He assured that the deputy head of the examination committee and the invigilators who were assaulted by a student after he was caught red-handed cheating during an examination are in good health. Dr Al-Atari highlighted the policy of “zero tolerance” in holding culprits legally responsible if they are proven to assault teaching staff members. In addition, Al-Shahed daily reported that the investigator of Al-Thaher Police Station ordered the detention of the student who assaulted the head of examinations committee of Haroun Al- Rasheedi High School, after the latter lodged a complaint against the student. 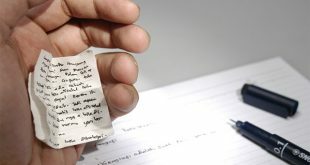 Meanwhile, police are looking for those involved in the stealing of examination papers from Orwa Bin Al-Zubair Secondary School, reports Al-Anba daily. 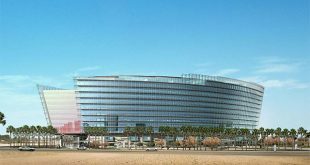 Immediately after Saad Al-Abdullah Police Station received a report on the attempt to break the door of the school, officers from the Criminal Evidence Department lifted fingerprints to identify and arrest the thieves.